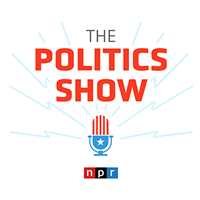 Featuring the trademark wit that has long characterized the popular NPR Politics Podcast, The Politics Show from NPR will feature reporters who cover politics from a number of different perspectives — from NPR’s White House and Congressional teams to Member station reporters covering local races. Their unique insights into the elections will enable listeners to come away able to discuss the major choices facing voters this election. In the run-up to Election Day, keep your listeners informed at the ballot box by airing it every weekend.